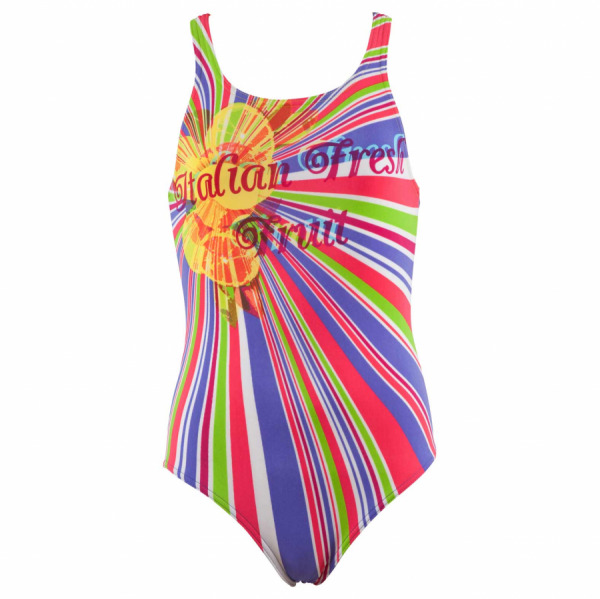 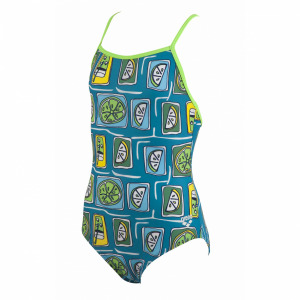 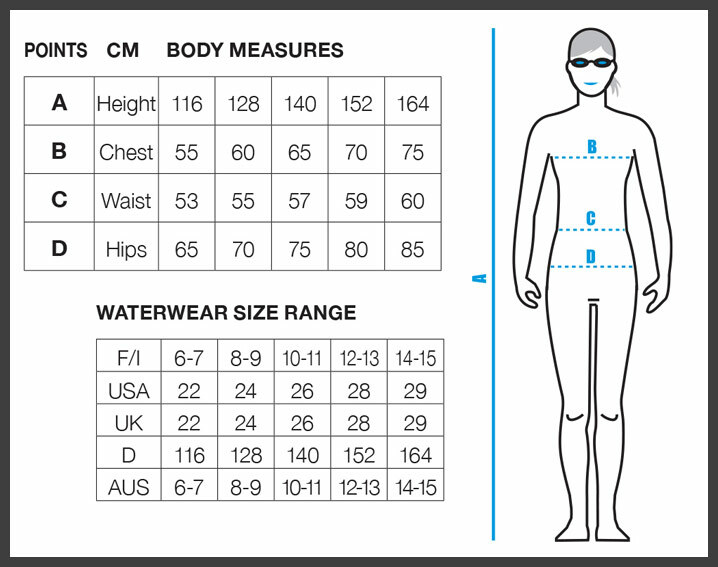 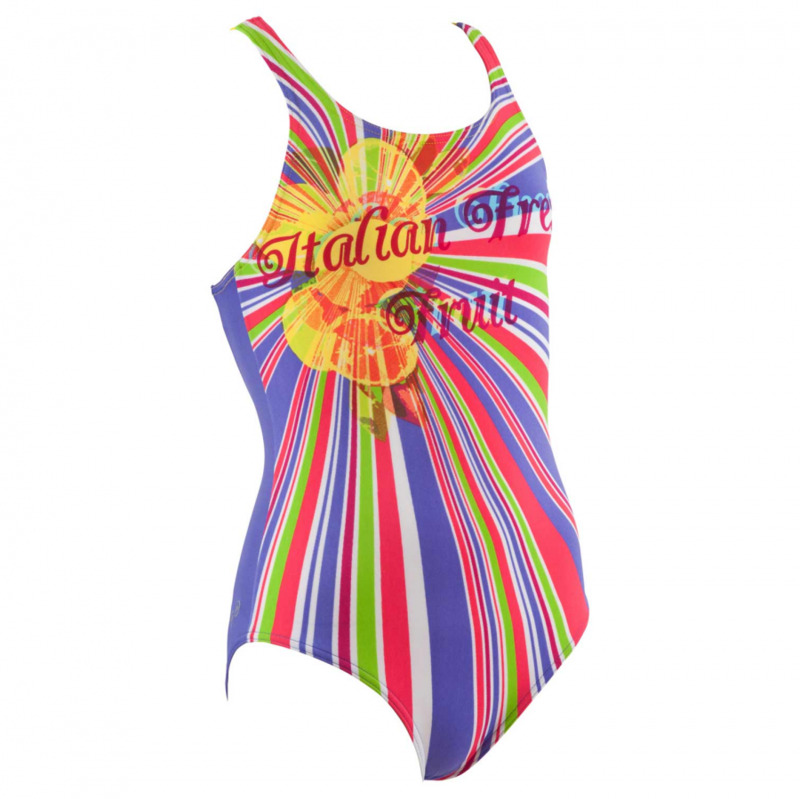 The Freshfruit girls Arena swimsuit uses Max Life material technology which is chlorine and sunlight resistant and is made to last. 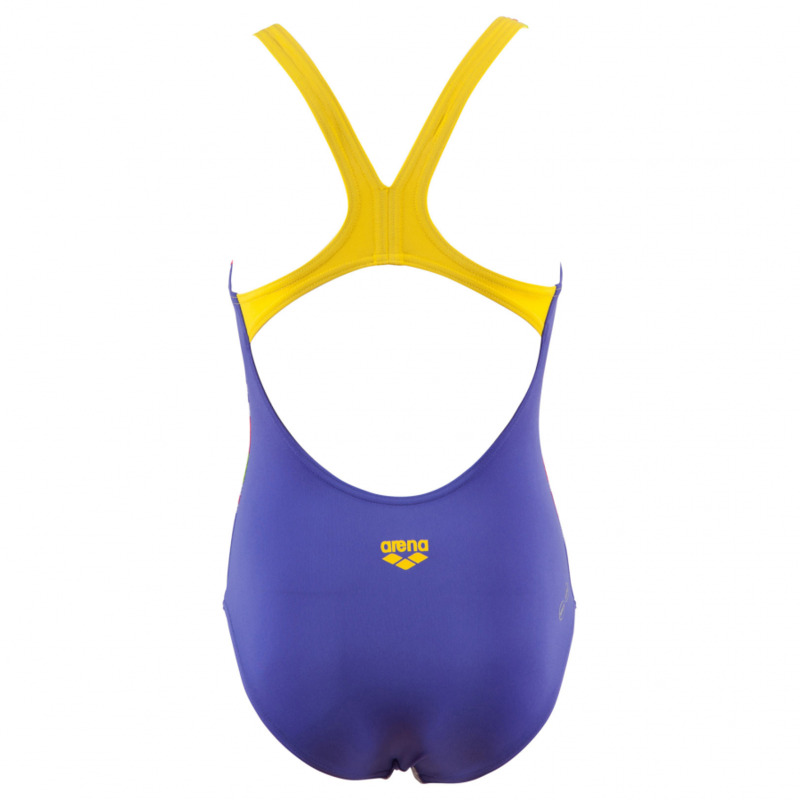 This makes it perfect for regular swim training and / or holidays. 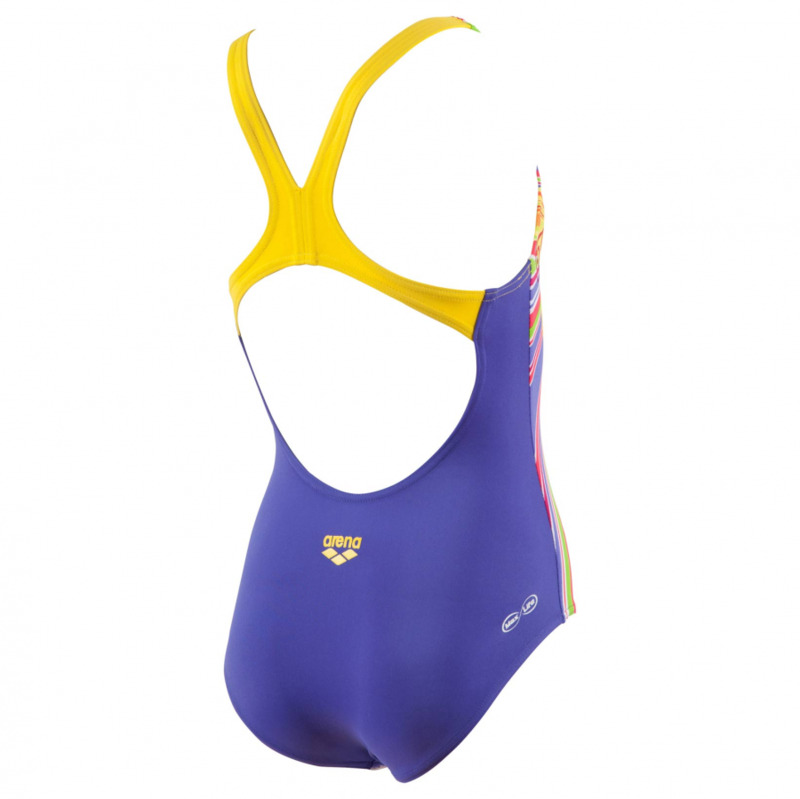 This model features an eye-catching jazzy pattern to the front and a plain violet purple back with contrasting yellow straps. 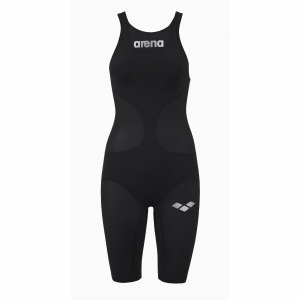 The ‘swim-pro’ back, which is one of Arena’s most open backs, makes it ideal for athletic use as the strap structure frees up the shoulders’ blades.